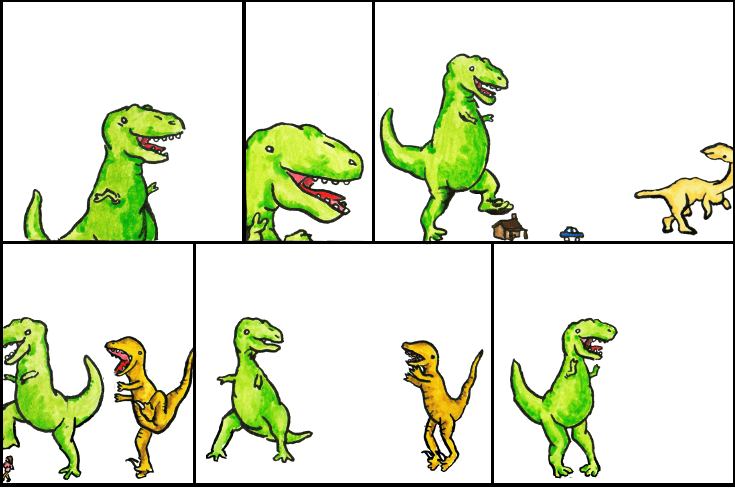 Dinosaur Comics - October 15th, 2018 - awesome fun times! –I think the Dromiceiomimus has a crush on me! October 15th, 2018: I'm back from my HOW TO INVENT EVERYTHING tour!! It was two weeks away from home, meeting readers, talking about science and history and time travel, and getting to cool events. Thank you to everyone who came out - it was a really special time for me and I hope it was for you too!